Milk powder, Wheat flour, Buckwheat powder, Rice powder, Fish powder, Feed, Processed paper, Nonwoven paper, Organic solvent, Film, etc. CONTINUOUSLY ANALYZE THE WEB FOR OPTIMAL COATWEIGHT AND THICKNESS - WITHOUT CONTACT OR SAMPLE ALTERATION. INSTANT ANALYSIS OPTIMIZES REACTION EFFICIENCY AND PRODUCTION THROUGHPUT. 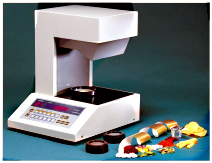 ON-LINE MEASUREMENT OF MOISTURE AND RESIDUAL SOLVENT IMPROVES GRANULATION CONSISTENCY AND ENSURES CONTENT UNIFORMITY.